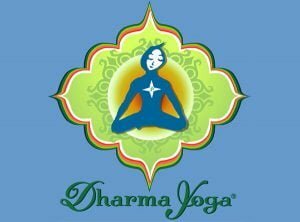 Dharma Yoga is a graceful, yet challenging form of yoga based on Sri Dharma Mittra’s 50 years of practice in classical yoga. As students move through the different series, they are encouraged to go deeper and experience the practice in a meditative and spiritual way. The Power flow Hot Vinyasa style is a dynamic combination of strength, sweat and spirit. This accessible, challenging and flowing form of yoga will lead you to a state of transformation – it will sculpt, tone and hone the muscles of your body and mind. The room is heated to a hot but comfortable 95 degrees to encourage detoxification, deeper stretching and healing. Class is open to all students; modifications and variations are offered to serve the needs of all experience levels. Get ready to take your practice seriously, but yourself lightly as you explore your edge, discover your strength, and awaken your spirit.